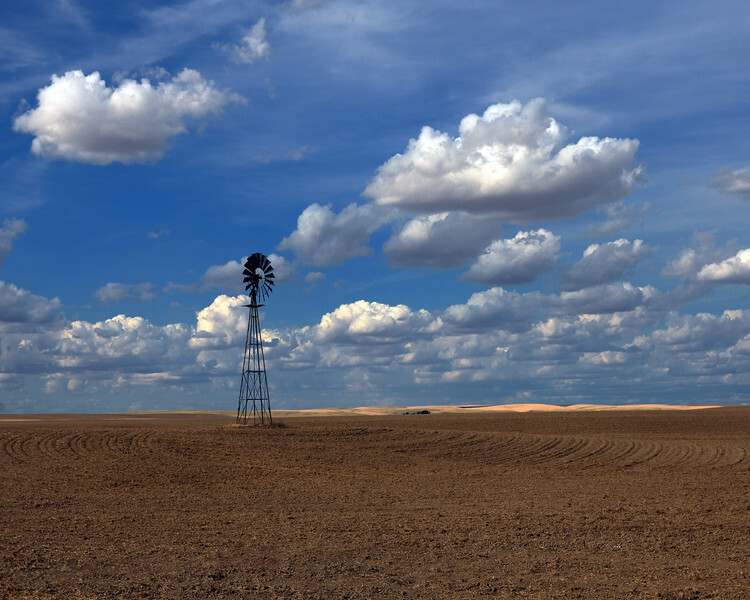 Summer clouds drift over a windmill and freshly plowed field on a farm near Lind, Washington. 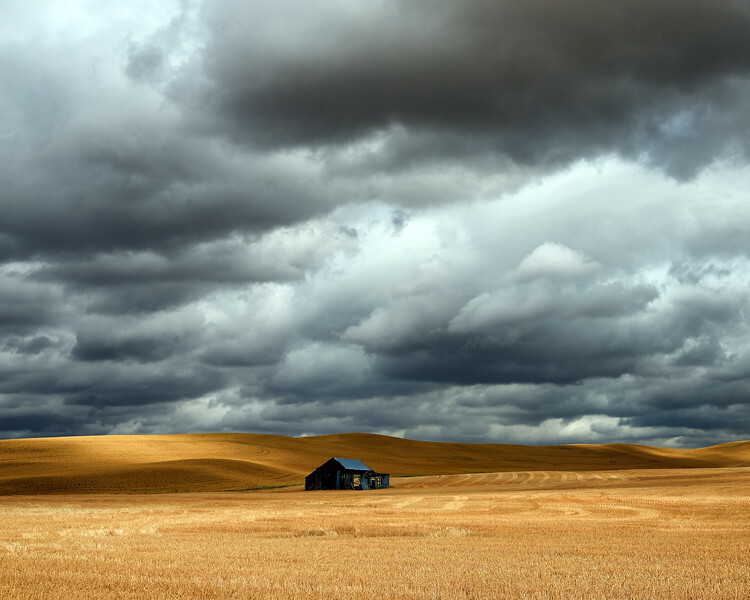 Passing storm clouds cast shadows on a wheat field and abandoned barn near Albion, Washington. 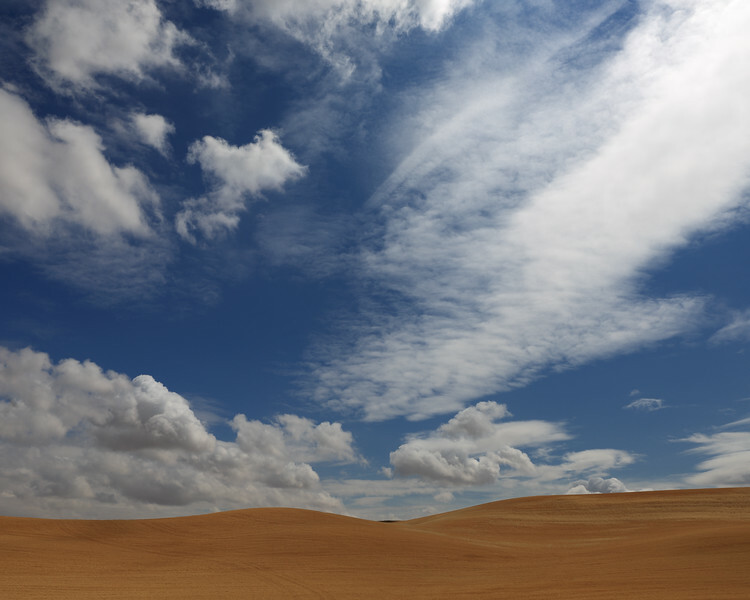 Clouds fill the sky above hillsides planted with wheat near Albion, Washington. 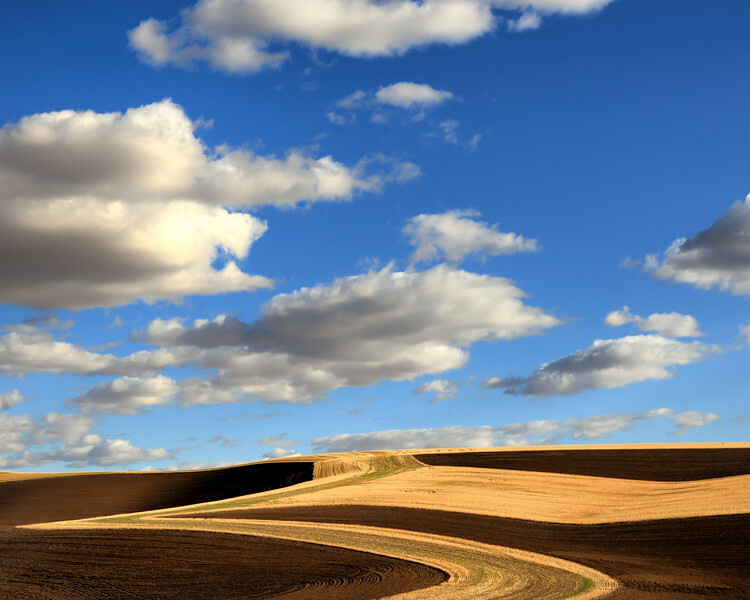 Clouds gather above a freshly plowed wheat field in Whitman County, Washington. Whitman County produces the most wheat of any county in the United States and specializes in the production of soft white wheat, used in pastries, pancakes, cakes, cereals and flatbreads. 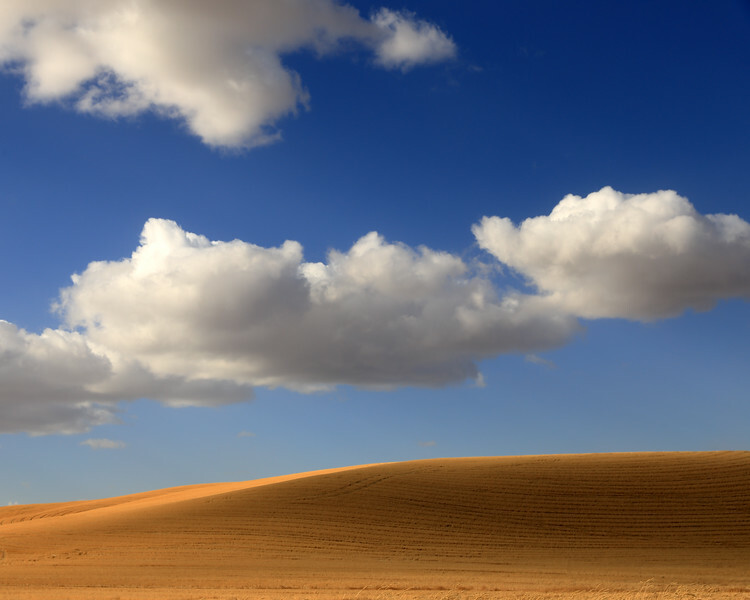 Passing clouds cast shadows on freshly harvested wheat field on a rolling hill near Colton, Washington.